wow, this is mind-blowingly clever, unique and exciting. it’s a NEW concreteness in poetry sound-making: a mathematical embodiment which is the essence of pure music(ality). 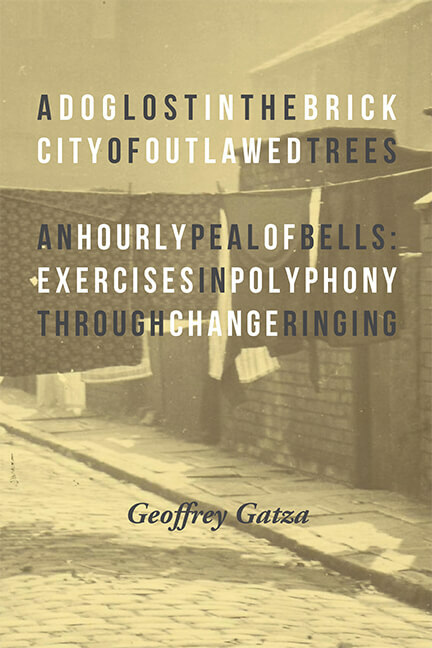 and i love the way it builds a narrative curve within poems and across the books – it’s novel in bells. hells bells and heaven’s bells and much more. terrific. iconoclasm with bells on! What a complicated and delicious poetic this is, it makes me long to hear these poems performed (or perform them myself with others). There is a hauntingly meditative quality here like Steve Reich’s work or Gavin Bryars, but much more woven than cyclic.